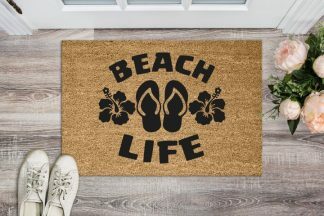 Customized your front door with a custom welcome mat! 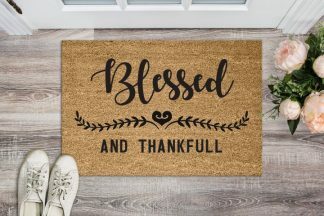 This mat makes a wonderful wedding gift, anniversary gift, realtor closing gift, housewarming, or any occasion! 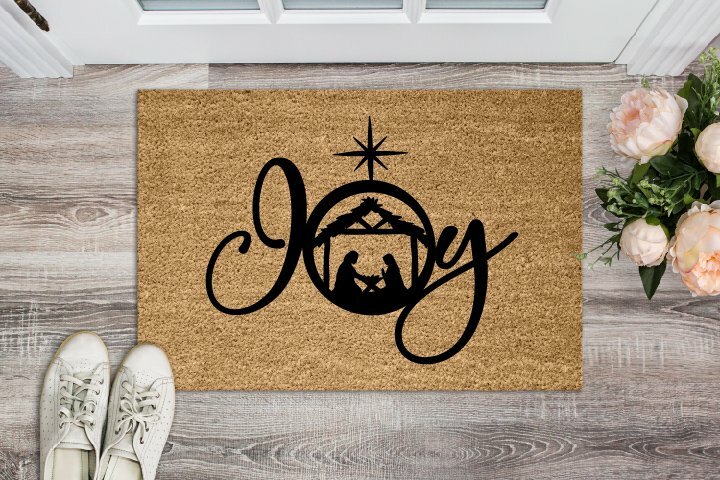 Want to put something custom on this doormat? That’s no problem! 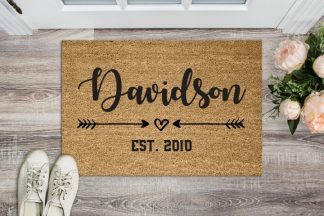 Send us a note and we can put anything you’d like on the doormat. Coir doormats are made of 100% natural coir and are great for preventing dirt and mud from tracking inside your home. Doormats are stain, rot, and mildew resistant. We suggest you keep your mat as dry as possible to avoid darkening of the fibers. To clean, simply give it a good shake or vacuum! CUSTOMIZATION: If you want a design that you don’t see here, just shoot us a message. We love working on new designs. PROOFS: We can send a digital proof after your item is purchased. we cannot offer proofs prior to purchase due to the amount of inquiries we receive. If you would like one, please let us know in the comment section at checkout.